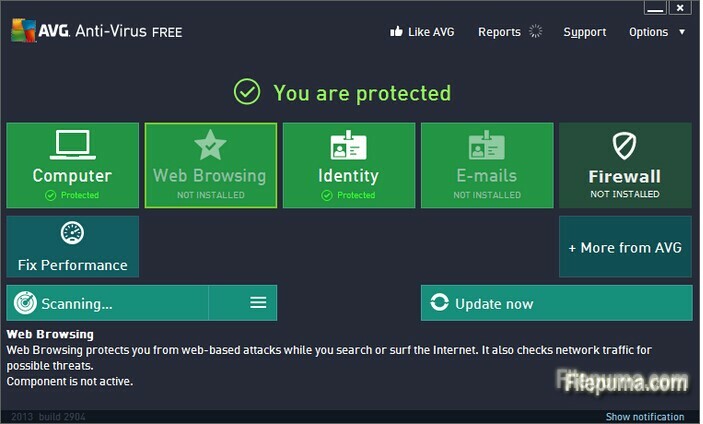 AVG Anti-Virus is one of the handiest free antivirus systems available for personal users. Surf, search, and keep up with friends on Facebook with security software used by 110 million people around the world. But sometimes it will prevent you from installing unknown program. So we could disable the program first to finish the installation. Here is the instruction to tell you how to disable AVG Antivirus. 1. Start AVG AntiVirus. Click the protection you’d like to disable. 2. Click “Enabled” to disable the protection, and click “Disabled” to re-enable the service. 1. Start AVG AntiVirus. Click the “Options” drop-down menu and select “Advanced Options”. 2. Select “Temporarily Disable AVG Protection” and click the “Temporarily Disable AVG Protection” button. 3. Use the “Disable AVG for” drop-down box and select the amount of time to disable protection. Choose “Until Restart” to disable protection until you restart your computer. Click “Enable AVG Protection” to enable protection before your set time runs out.